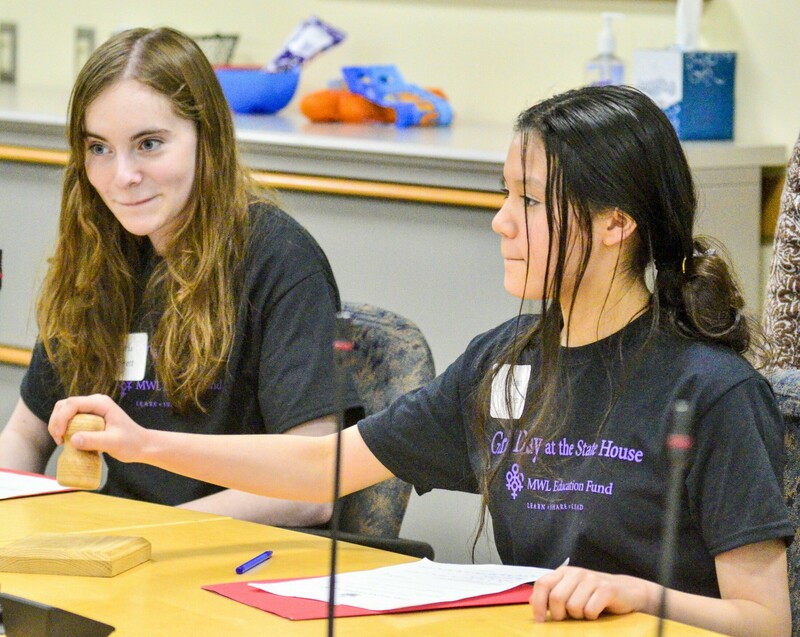 Alivia Bennett, of Hall-Dale Middle School, left, and Mandy Rivera, of Sanford Junior High, open a mock committee hearing during the Maine Women's Lobby's Girls' Day at the State House events Friday in the Burton M. Cross State Office Building in Augusta. Kaitlin Catalano testifies in favor of L.D. 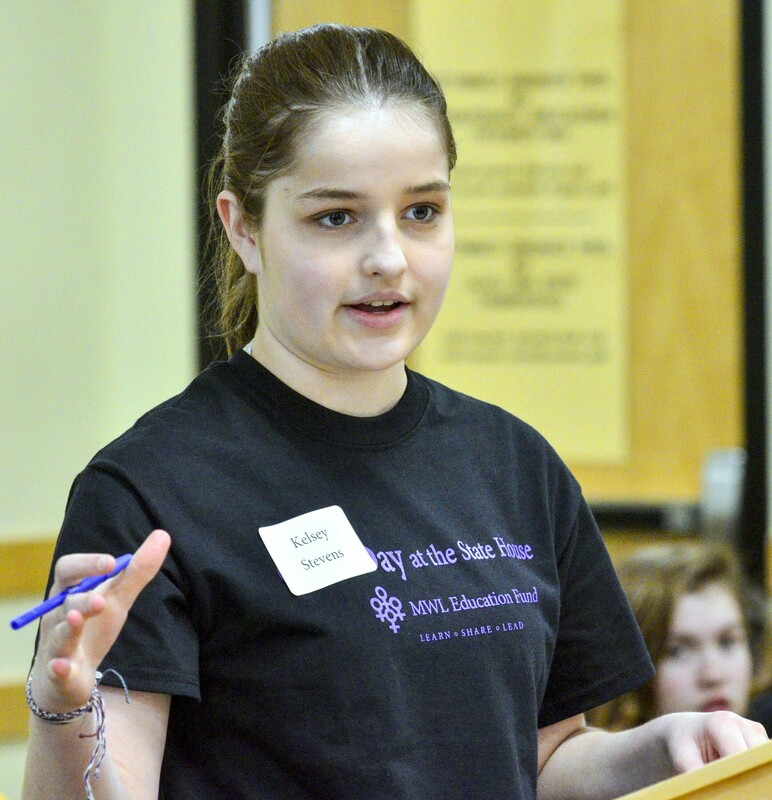 94 in a mock committee hearing during the Maine Women's Lobby's Girls' Day at the State House events Friday in the Burton M. Cross State Office Building in Augusta. Committee member Eva Therrien debates L.D. 94 during the Maine Women's Lobby's Girls' Day at the State House events Friday in the Burton M. Cross State Office Building in Augusta. Kelsey Stevens, of Marshwood Middle School, testifies against L.D. 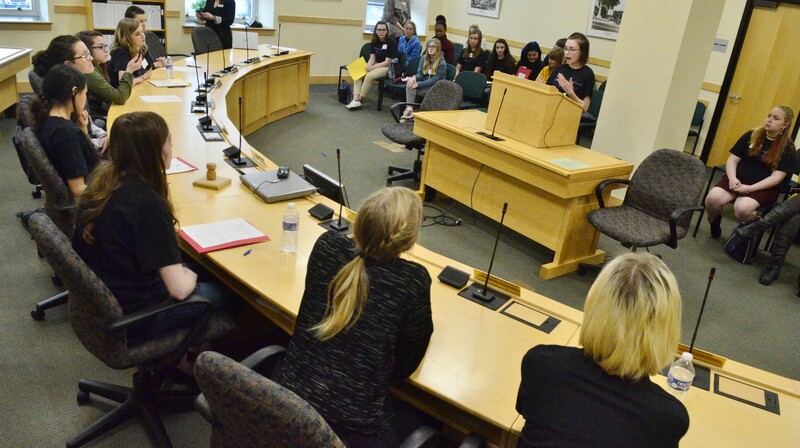 94 in a mock committee hearing Friday during the Maine Women's Lobby's Girls' Day at the State House events in the Burton M. Cross State Office Building in Augusta. 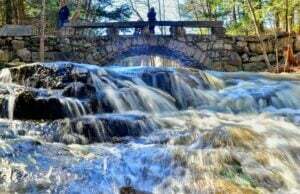 Danika Parlin, of Medomak Middle School, testifies against L.D. 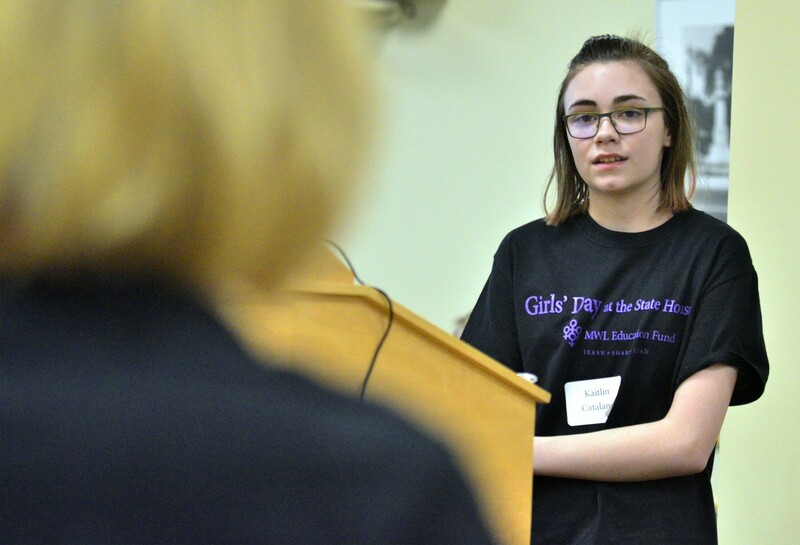 94 in a mock committee hearing Friday during the Maine Women's Lobby's Girls' Day at the State House events in the Burton M. Cross State Office Building in Augusta. Kaitlin Catalano testifies in favor of L.D. 94 in a mock committee hearing Friday during the Maine Women's Lobby's Girls' Day at the State House events in the Burton M. Cross State Office Building in Augusta. Alexis Dow testifies in favor of L.D. 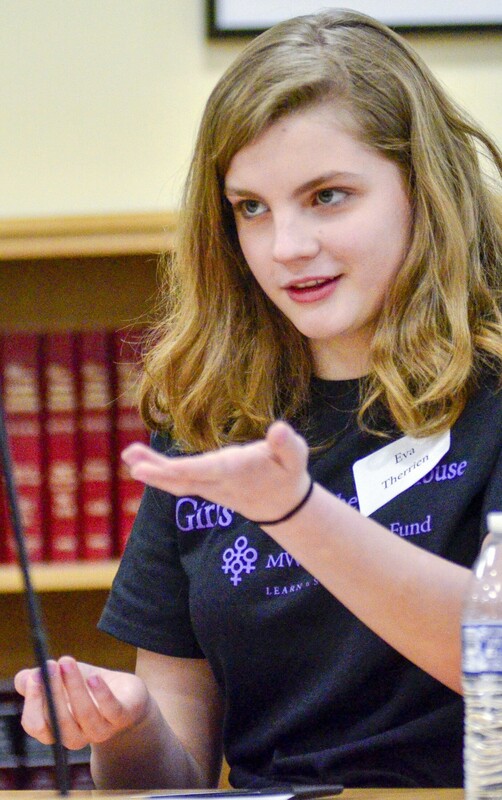 94 at a mock committee hearing Friday during the Maine Women's Lobby's Girls' Day at the State House events in the Burton M. Cross State Office Building in Augusta. 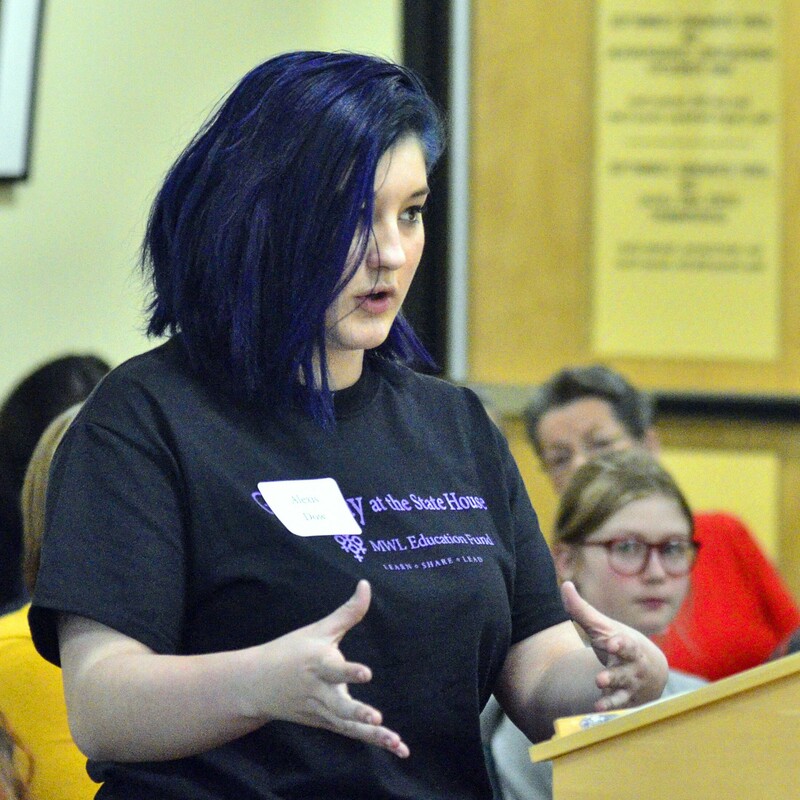 Executive Director Eliza Townsend, right, speaks Friday during the Maine Women's Lobby's Girls' Day at the State House events in the Burton M. Cross State Office Building in Augusta.